San Francisco – San Francisco trial attorney William Webb – founder of the Webb Legal Group – secured a $2,075,000 commercial litigation decision for his client, the Plaintiff – a San Francisco-based online travel agency – against three of its managers and a separate airline ticket consolidator they run for breach of contract and for breach of the managers’ fiduciary duties following a trial in San Francisco Superior Court. In addition to winning the commercial litigation case, Mr. Webb also won several critical motions during the trial, including a ruling that prevented the Defendants from calling an expert witness to rebut Mr. Webb’s expert witness as to the amount of profits the Plaintiff lost as a result of the Defendants’ actions. This was a complex commercial litigation case in which several individuals, including the Defendants, created the Plaintiff, an online travel agency, as a start-up joint venture company, and began operation. The Plaintiff’s business model was to obtain discounted airline tickets from the Defendants’ airline ticket consolidation company. The parties agreed to utilize the Plaintiff to pass along those discounts to the traveling public. However, when another company wanted to purchase the Defendant ticket consolidator and expressed concern about the discount relationship, the Defendants wrongfully cut off the Plaintiff’s ticket supply and started voiding tickets that had been issued to the Plaintiff’s customers, in a deliberate attempt to put the Plaintiff out of business. The Plaintiff began to obtain tickets from other suppliers as quickly as possible, but its business was disrupted for more than a year. In all, the court found that the Plaintiff suffered $2,075,000 in lost profits during this time period. In addition, the court held that the Defendant ticket consolidator may owe the Plaintiff even more money, and appointed a judicial referee to calculate exactly how much may still be owed. The court agreed with the Plaintiff that its managers should not have acted in this manner, in breach of their fiduciary duties to the Plaintiff. 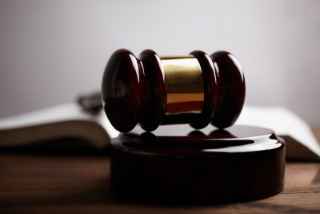 Under California law, a fiduciary, including a manager of a limited liability company, owes a duty of care and of loyalty to the beneficiary, which in this case was the Plaintiff. In other words, as its managers, the Defendants owed the Plaintiff a duty of loyalty – i.e. to put the Plaintiff’s interests ahead of their own. The court found that by trying to put the Plaintiff out of business, the Defendants failed to put the Plaintiff’s interests ahead of their own. The case later settled out of court on a confidential basis. The Webb Legal Group was founded by attorney William Webb in 2008 following a distinguished career with several well established law firms. Mr. Webb is an attorney with almost a quarter century of commercial litigation and other civil trial experience, and regularly teaches trial advocacy, including commercial litigation, to practicing lawyers through the National Institute for Trial Advocacy, the premier provider of learning-by-doing education for the legal profession. The Webb Legal Group has recovered millions of dollars for its clients through its aggressive litigation, and has also successfully defended businesses and individuals accused of wrongdoing in commercial litigation cases, through trial and on appeal. The firm practices everything from complex business and commercial litigation and intellectual property disputes to personal injury and probate litigation, among other areas. For more information, please e-mail Mr. Webb or call 415-277-7200. 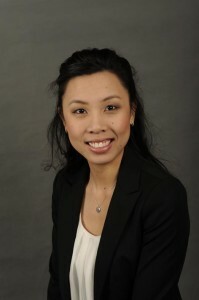 The Webb Legal Group is pleased to announce the recent hiring of Jennifer D. Yu, Esq., as an associate attorney. After graduating from the University of California, Berkeley with bachelor’s degrees in English and Economics, Ms. Yu began her legal career as a project assistant at Kirkland & Ellis in San Francisco. While at Kirkland, Ms. Yu trained for two years in the litigation department and assisted attorneys representing clients in complex commercial litigation matters. She then attended Notre Dame Law School in Notre Dame, Indiana, where she completed skills coursework in trial advocacy, deposition skills, and negotiations and served as an Articles Editor for the Journal of College and University Law, Volume 39. Additionally, while in law school, Ms. Yu interned at Notre Dame’s Economic Justice Clinic and served clients in home foreclosure and debt collection proceedings. Ms. Yu first joined the Webb Legal Group in 2013 as a paralegal, and was hired as an associate upon passing the California bar. Her practice includes the defense of consumer financial services cases, and assisting clients involved in complex cases pertaining to commercial transactions, international litigation, and privacy rights, among others. You can congratulate Jennifer by calling us at 415-277-7200, or by e-mailing her at jyu@webblegalgroup.com. You can learn more about Ms. Yu by visiting her web page. Under 28 U.S.C. § 1348, national banking associations are “citizens of the States in which they are respectively located.” Id. But the term “located” is not defined in the statute or elsewhere. The Circuits have split as to the meaning of the term “located.” Prior to the Rouse v Wachovia Mortgage case, the Fifth, Seventh and Eighth Circuits had decided the issue, but they came up with different results. On March 27, 2014, in Rouse v Wachovia Mortgage, FSB, No. 12-55278, it was the 9th Circuit’s turn to weigh in on the question. 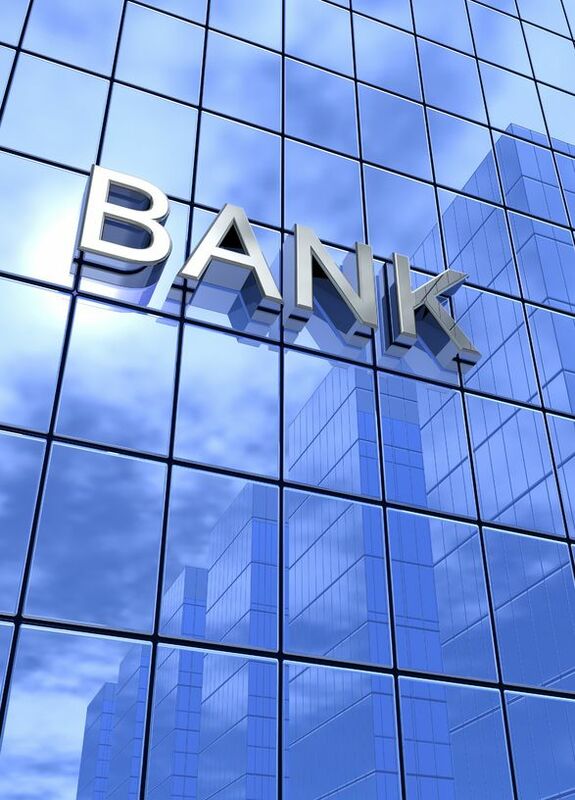 In Rouse v Wachovia Mortgage, a three-judge panel of the 9th Circuit ruled in a 2-1 decision that, under § 1348, a national bank is “located” only in the state designated as its main office. 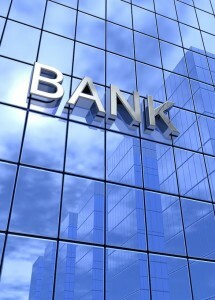 In Rouse v Wachovia Mortgage, the plaintiffs filed suit against Wachovia Mortgage, FSB, a division of Wells Fargo, N.A. (“Wells Fargo”) in California state court, alleging both state and Federal causes of action. Wells Fargo removed the case to Federal court, alleging Federal question jurisdiction on the Federal causes of action, and diversity of citizenship on the state causes of action. The Defendants then filed motions to dismiss the Federal causes of action. In response, the Plaintiffs amended their complaint to state only causes of action arising under California law. The district court held that national banks are citizens of the state where their principal place of business is located, and they are also citizens of the state where their main office is located as designated in their articles of association. Because Wells Fargo’s main office is in South Dakota and its principal place of business is in California, and the Rouses are citizens of California, the district court held that complete diversity did not exist, and remanded the case to California state court for want of jurisdiction. In Rouse v Wachovia Mortgage, on appeal, the 9th Circuit reversed. It did so in part in reliance upon the decision in Wachovia Bank, N.A. v. Schmidt, 546 U.S. 303, 126 S.Ct. 941, 163 L.Ed.2d 797 (2006), in which the Supreme Court held “that a national bank, for § 1348 purposes, is a citizen of the state in which its main office, as set forth in its articles of association, is located.” Id. at 307. The Rouse v. Wachovia Mortgage court acknowledged that this ruling was made in a different context (because “Wachovia Bank did not address whether a national bank is also a citizen of the state where it has its principal place of business”), but it nevertheless formed the backbone of its decision. The 9th Circuit also relied upon an 8th Circuit case, Wells Fargo Bank, N.A. v. WMR e-PIN, LLC, 653 F.3d 702, 707–08 (8th Cir.2011). The plaintiffs in Rouse v Wachovia Mortgage may seek a rehearing en banc, given the 2-1 split decision, and the fact that other circuit courts have held differently. See, for example, Horton v. Bank One, N.A., 387 F.3d 426, 429–36 (5th Cir.2004), cert. denied, 546 U.S. 1149, 126 S.Ct. 1164, 163 L.Ed.2d 1127 (2006) and Firstar Bank, N.A. v. Faul, 253 F.3d 982, 985–94 (7th Cir.2001). For now, however, this case is the law in the 9th Circuit. For more information, please contact William T. Webb, Founder of the Webb Legal Group, at wwebb@webblegalgroup.com. October 2013, San Francisco. William Webb has been appointed as the Treasurer for the Executive Committee of the Business Law Section of the State Bar of California for the 2013 – 2014 fiscal year. As treasurer, he will report on the Business Law Section finances to the Executive Committee. The treasurer also works with the Business Law Section Standing Committees in establishing their budgets for the upcoming year. Mr. Webb joined the Executive Committee in 2012 as the former Chair of the Consumer Financial Services Committee of the Business Law Section of the State Bar of California. He has served on various subcommittees of the Executive Committee, including the Mentoring Subcommittee. The State Bar of California is California’s official bar association. It is responsible for managing the admission of lawyers to the practice of law, investigating complaints of professional misconduct, and prescribing appropriate discipline. It directly responds to the Supreme Court of California. Today, the State Bar of California is the largest state bar association in the United States, with 242,000-plus members as of January 2013, of whom over 179,000 are on active status. The Business Law Section is the largest of the 16 voluntary Sections of the State Bar, with more than 12,000 members. The BLS has 15 Standing Committees that are actively involved in initiating, drafting and commenting on legislation and participation in regulatory reform at the state and Federal levels. The Executive Committee oversees the Business Law Section’s educational, legislative and publication activities. Mr. Webb’s interest in the California State Bar is a result of the influence of his uncle, James Cullers of Mount Vernon, Ohio, who was involved in the Ohio State Bar, and served as the president of the Ohio State Bar Foundation in 1993. June 6, 2013, San Francisco. The Webb Legal Group has signed a memorandum of understanding to become one of the firms in a small but prestigious international consortium of law firms. The signing ceremony took place as part of the 2013 Programme of the Belgian Economic Mission to the United States of America. The signing ceremony was presided over by His Royal Highness Prince Philippe of Belgium and other dignitaries, and announced to the press. The Webb Legal Group focuses its practice on assisting businesses and individuals faced with complex legal problems. 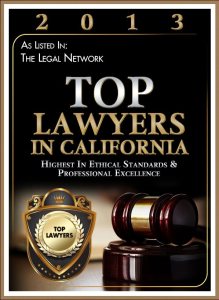 It is based in San Francisco, California, but assists clients in matters throughout the U.S. and the world, often by partnering with top attorneys located internationally, including those in the new international consortium. In addition to the Webb Legal Group, other members of the international consortium include Brocorens, Bervoets and Defauw, of Brussels, Stimmel Stimmel and Smith and Weisbroth Law of San Francisco. In the Memorandum of Understanding, the parties of the international consortium pledged to join their efforts and commitment to share experience, expertise, resources and value to the benefit of Belgian companies and entrepreneurs doing business in the USA, or intending to do so. They also pledged to share their resources and experience in assisting American-based clients wishing to expand their business to the European Union. Before founding the Webb Legal Group, Mr. Webb studied international and comparative business law at the Notre Dame Law School in London, England, which well prepared him for a career assisting those involved in international business litigation. As part of his studies, he published an article in the Journal of Legislation entitled The International Legal Aspects of the Lithuanian Secession, 17 Journal of Legislation 309 (1991). For more information, contact William T. Webb. June 2013, San Francisco. William Webb has been recognized by American Lawyer Media as one of the top lawyers in California. Mr. Webb is the founder of the Webb Legal Group, located in San Francisco, California. Mr. Webb focuses his practice in business, commercial and other civil litigation. He founded the Webb Legal Group to provide sophisticated representation to individuals and businesses facing an increasingly complex world. Mr. Webb is a 1988 graduate of the University of Notre Dame, located in Notre Dame, Indiana, as well as of its law school. He began his practice more than twenty years ago trying cases in the areas of breach of contract, environmental contamination, insurance coverage, medical malpractice and personal injury defense, among others. He was also involved in some landmark appellate cases in the area of municipal liability, and other areas. Based upon his extensive trial experience, he was asked to join the faculty of the National Institute for Trial Advocacy at an early stage in his career, and he continues to teach with NITA. He has tried cases in various state and Federal courts throughout the country. American Lawyer Media is an integrated media company located in New York City, and is a leading provider of specialized business news and information, focused primarily on the legal and commercial real estate sectors. ALM owns and publishes 33 national and regional magazines and newspapers, including The American Lawyer, the New York Law Journal, Corporate Counsel, The National Law Journal, The Legal Intelligencer, Legal Times and Real Estate Forum. The company also produces conferences and trade shows for business leaders and the legal profession. Law Journal Press, ALM’s professional book imprint, publishes over 130 treatises on a broad range of legal topics. For more information, please contact William T. Webb. The State of California has recently changed an obscure part of its flame retardant law that affect the health and safety of everyone in the United States, although it will not begin to have a positive effect until later this decade or into the next. Read on for the full story. Since this post was initially published, the State of California issued final regulations. This version brings you fully up to date. Flame retardants are used in a number of household and children’s items, most notably couches and love seats, exposing millions of people to harmful chemicals. The flame retardants are used in order to comply with a well-intentioned but outdated law that lawmakers have been unable to change. This law is a regulation in only one state, but for reasons explained below, it affects the whole country, and has resulted in the use of large quantities of dangerous chemicals in the vast majority of American households. Fortunately, it appears that the law is about to change, thanks to California’s Governor Jerry Brown. Hopefully, this will lead to a significant decrease in the use of dangerous flame retardant chemicals. You may want to start saving for that new couch now. Here is what happened. In 1975, California was concerned about fires injuring and killing people and children. So, in good faith and believing it was doing the right thing, California adopted a law and an implementing regulation that required that certain furniture and children’s products comply with flammability standards set forth in a document called Technical Bulletin 117 (TB 117). Specifically, California Business and Professional Code section 19161 requires “all seating furniture sold or offered for sale … in this state . . . [to] be fire retardant.” Once a law is passed by the legislature, the executive branch often needs to pass regulations that implement the law. In this case, California implemented section 19161 by requiring all filling materials contained in “seating furniture” – i.e. couches, love seats and chairs – to meet flammability standards set forth in TB 117. Essentially, TB 117 ensures that furniture meets flame retardant standards by requiring that fill material in seating furniture withstand a small open flame for at least twelve-seconds without catching fire. Note that the law does not require the use of flame retardants — it merely requires certain materials — mostly couch cushions — to be able to withstand a small open flame for twelve-seconds without bursting into flame. This is certainly a laudable goal, but like many well-intentioned acts, it had unintended consequences. In order to comply with TB 117, manufacturers used certain chemicals known as Polybrominated Diphenyl Ethers (“PDBEs”) as flame retardants – up to two pounds worth of flame retardant chemicals for each sofa. Because California is the twelfth largest economy in the world (i.e. it is a larger marketplace than most countries), furniture and other manufacturers wishing to sell their products in California had to manufacture their products to California’s flammability standard. Since it is not cost efficient to manufacture the same item to two or more different standards, and since California’s standards are the most stringent in the country, this means that thanks to California, most furniture and children’s products sold in the U.S. are manufactured to the California standard, including the use of flame retardant PDBEs. Until 2004, furniture manufacturers usually complied with TB 117 by adding the flame retardant pentabromodiphenyl ether (“pentaBDE”) to the foam fill material in seating furniture. However, due to mounting health concerns about pentaBDE, and increased state legislative efforts to ban the flame retardant, its manufacturer voluntarily ceased production in 2004 (a year after California banned it and 8 other states and the European Union followed suit). Since then, TDCPP and Firemaster 550 have been the primary flame retardants used by furniture manufacturers to comply with TB 117. TDCPP was also recently found to be prevalent in a wide variety of children’s products, such as nursing pillows, changing pads, and car seats. Tests have shown that people living in California have higher levels of PDBEs than people living elsewhere; studies were done comparing Californians with people from Massachusetts, Ohio and Mexico, and those in California had higher concentrations of PDBEs in them, leading researchers to believe that TB 117 may be implicated. Ironically, the flame retardants do not prevent the materials from burning, but only allow the materials from failing the flammability tests. In an actual fire, the furniture and materials will ultimately burn, releasing potentially toxic smoke into the air. Thus, the rule of unintended consequences has reigned supreme. As a result, Californians have tried to change the law, but, sadly, have been unable to do so. Fire fighters teamed up with environmentalists and other citizen groups in order to change the law. Even furniture manufacturers were in agreement the law needed to be changed. Fire fighters were very concerned that these flame retardants might make the already toxic smoke they breathe while fighting fires even more toxic, leading to higher rates of cancer in fire fighters than in the non-firefighting population. And other groups were alarmed with the increased levels of PDBEs in Californians. Starting in 2008, California State Senator Mark Leno introduced legislation many times to overturn California Business and Professional Code section 19161, but his efforts were rebuffed each time he did so, because the chemical industry lobby is so strong. The industry even hired a New York public relations firm that had advised the tobacco industry in connection with regulators’ efforts to compel the tobacco companies to create cigarettes that would extinguish themselves if left unattended. In connection with those efforts, the public relations firm suggested the chemical companies create an organization called “Citizens for Fire Safety.” You can view Senator Leno talking about his efforts as of November 2012 here: http://www.uctv.tv/shows/Mark-Leno-25037 In this video, he describes that when the chemical manufacturers needed help to keep TB 117 in place, they turned to the same public relations firm, and received the same advice — utilize an organization called “Citizens for Fire Safety” to testify against the repeal of any flame retardant laws. After the Chicago Tribune pieces ran in May 2012, Citizens for Fire Safety disbanded. Its website has been taken down and replaced by a notice, essentially admitting that the group had been organized by the three largest chemical companies, and that their efforts were going to be carried on under a different name. Since the California legislature has been unable to repeal Business and Professional Code section 19161, Governor Jerry Brown has seen to it that its implementing regulation and TB 117 receive scrutiny. On February 8, 2013, California’s Department of Consumer Affairs, Bureau of Electronic and Appliance Repair, Home Furnishings and Thermal Insulation (the “Bureau”) announced it was considering ways of changing the way TB 117 would help ensure that furniture is fire retardant. http://www.bhfti.ca.gov/about/laws/propregs.shtml. The Bureau is the organization that had implemented TB 117 in the first place. As part of the executive branch, it falls under the influence of Governor Jerry Brown, and not the California legislature, which has been unable to change the law. Accordingly, the Bureau announced it was considering revising TB 117. The revised proposed regulation is called “TB 117-2013.” It has not yet become law. Essentially, the Bureau proposes to do so by amending the manner in which flammability is measured. It does so by doing away with the twelve-second open flame test referenced above in favor of a “smolder-only” test, which would be much easier for manufacturers to meet without adding any flame retardant chemicals. This new test is based on one promulgated by an independent and very highly regarded third-party known as ASTM International (formerly known as the American Society for Testing and Materials). The Bureau stated that it would (as is customary when a regulator announces regulations) accept comments from the public, which were held open until March 26, 2013. For anyone who is interested in seeing what a “public comment” looks like when made by a non-profit organization, look here for Earth Justice’s comment: http://earthjustice.org/sites/default/files/earthjusticeflameretardantcommentsCA.pdf. Since the hearing, we haven’t heard much, but industry experts are expecting a final rule to be handed down sometime in 2013. We will report back when that happens. Since the above was first published, the State of California listened to concerns by manufacturers regarding the timing of the change in the law. Specifically, manufacturers were concerned that they would have trouble making the switch by the proposed July 1, 2014 deadline. They therefore filed comments during the period of time that the Brown administration had announced for the public to make comments on the changes in the law. California listened to these comments, and delayed the effective date of the changes from July 1, 2014 to January 1, 2015. This extension is designed to provide businesses “the additional time needed to deplete current supplies (of products made with the chemicals, as well as the chemicals themselves) and effectuate the new regulatory changes,” according to a memorandum published by the California Department of Consumer Affairs.